In January 2014, Aaron began serving as a missionary airplane mechanic with MMS Aviation, in preparation for future service as a pilot/mechanic. Upon completing thirty months of missionary service with MMS, he passed his examinations for the Federal Aviation Administration Airframe and Powerplant (A&P) mechanic certificate. With Aaron's A&P certificate in hand, we moved to Burlington, North Carolina for a two-year assignment to further prepare us for overseas service. In North Carolina Aaron worked with Missionary Air Group, helping maintain MAG's airplanes while gaining the flight experience necessary to serve on the field. 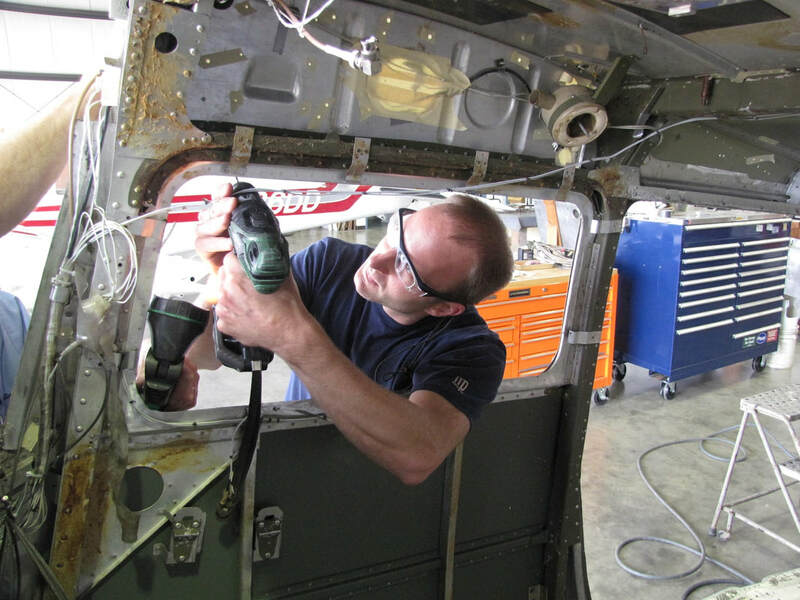 Because missionary pilots typically serve in remote areas (supporting medical missions, delivering supplies, and transporting missionaries for example), it is necessary to be a qualified A&P mechanic as well as a skilled pilot. In November 2018, Aaron finished his apprenticeship by spending three weeks in Mexico, flying with UIM Aviation in the Sierra Madre. He now has over 400 flight hours and 50 hours of high performance time, which meets the initial requirements of many missionary aviation organizations. After so many years of preparation, we are excited to be accepted to our first field assignment! For more about that, read about our next steps! Working on Mission Aviation Fellowship's Cessna 206 during my evaluation at MMS Aviation. Taking off on my first flight with Sean Donnelly from Missionary Air Group (MAG).